I pledge my 21 km run to raise awareness and resources for Just for Kicks and my football team to help support basic costs. Football is much more than a sport for me. It's my passion. It has taught me a lot both on and off the field and I have experienced the changes it can bring in one's character. From teamwork, social skills, fighting spirit to health and fitness, the sport can really transform one's life. Ever since I heard of "Just For Kicks", I have been fascinated by it! Having been a football player myself, I strongly believe in the power of the sport in creating a huge impact in the education space. The game can become a third place to the children - beyond the struggles of home and pressures of School - to express themselves freely and come into their own. At the same time, I also believe that Just For Kicks can serve as a launch pad for some of the hidden talents in our country - a platform our country desperately needs. Just For Kicks identifies schools (both public and private) that cater to under resourced communities and match them with a coach. 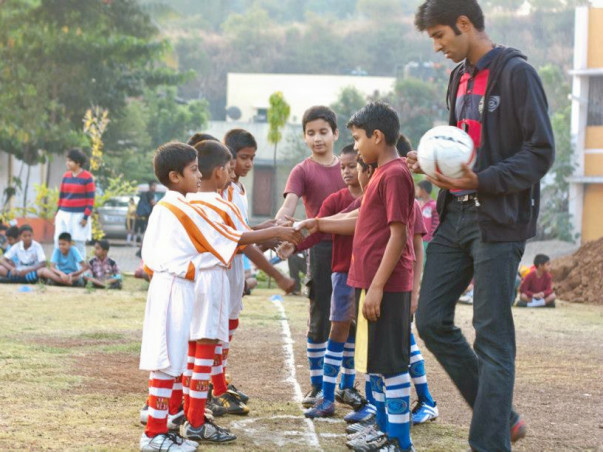 The coaches work closely with the teachers and the children to develop teams of 10 each in various divisions (junior, senior, super senior - boys and girls). Coaches train the students using JFK's life skills based football curriculum while working closely with both parents and teachers to build a cohesive culture. 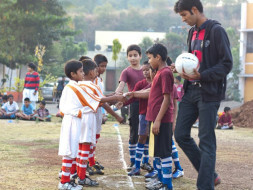 Schools which do not have playgrounds are provided access to nearby grounds and students are provided with all the necessary gear to play, as well. The training period spans four months of fall during which the teams play friendlies with other teams from different parts of the cities. In the beginning of Winter, JFK kick starts the league when teams from a cluster play home and away games against the other teams that culminates in a nation wide tournament. During the tournament, we bring in scouts from different parts of the World to watch the talent and potentially provide scholarships for further development.